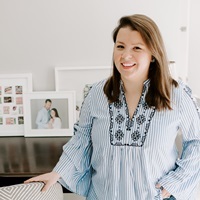 I’m keeping pace with my summer Farmer’s Market challenge (in fact it’s the one thing I’ve marked off my summer bucket list – I need to tackle my summer reading list and some of our day-trips before summer slips away). So far I’ve made a charred summer vegetable salad, mixed in tons of fresh veggies in a farmer’s market pasta dish, and made use of those first summer tomatoes with a fresh bruschetta mixed with brine-y olives. 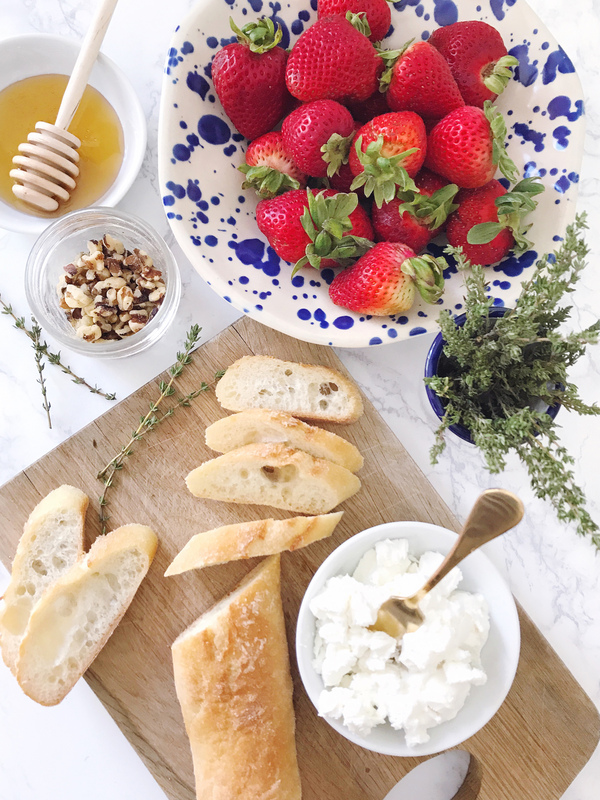 The berries are starting to show up on the tables at our little Farmer’s Market and I had to scoop up some bright red strawberries to play with, and I ended up with a tasty strawberry goat cheese crostini recipe this week. Berry-picking also falls on my summer bucket list, so this won’t be the last time I make this easy crostini recipe over the course of the season. 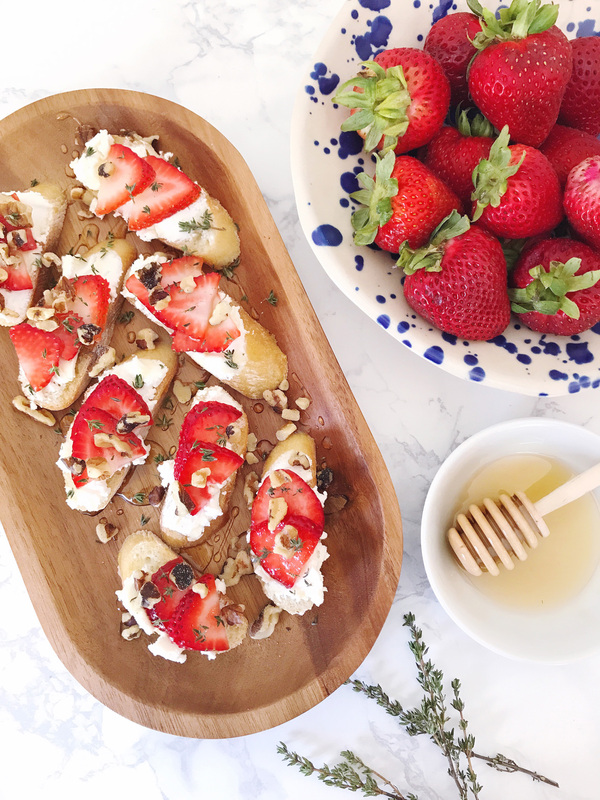 I decided to update a favorite crostini recipe that I’ve used at dozens of parties (inspired by a cute little Cape Cod restaurant’s tapas menu) – a goat cheese, thyme and honey crostini. I used the same three base ingredients and added these bright, sweet, thinly sliced strawberries on top. Some crushed walnuts got added on top for texture and stuck in the gooey local honey and rich creamy goat cheese. 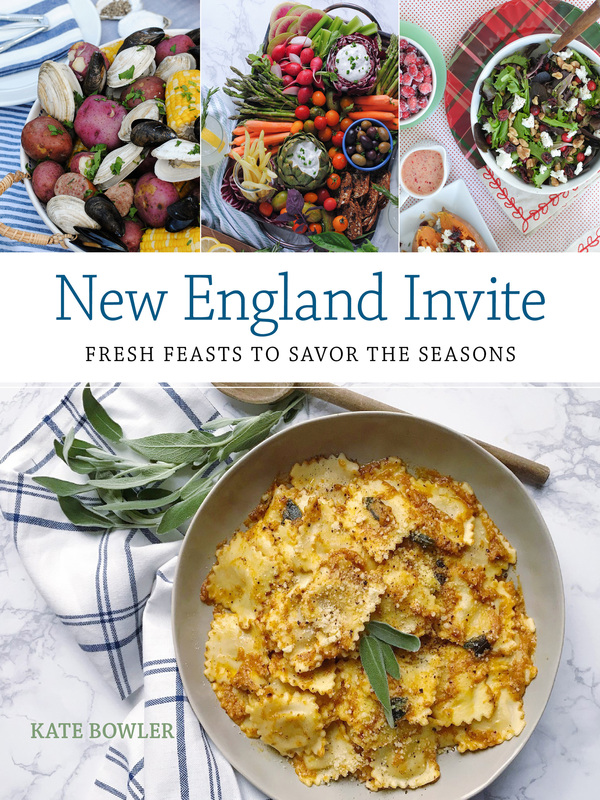 I served a small batch of these as an after-beach snack paired with a crisp glass of rosé when we had friends visiting over the Fourth of July holiday weekend and they were gobbled up quickly (to be fair though, I ate more than half the plate myself!). They take about 5 minutes to assemble, and are perfect for a cool summer snack when entertaining al fresco. Get the full recipe below! Slice ciabatta bread into individual crostini spears, toast if desired. 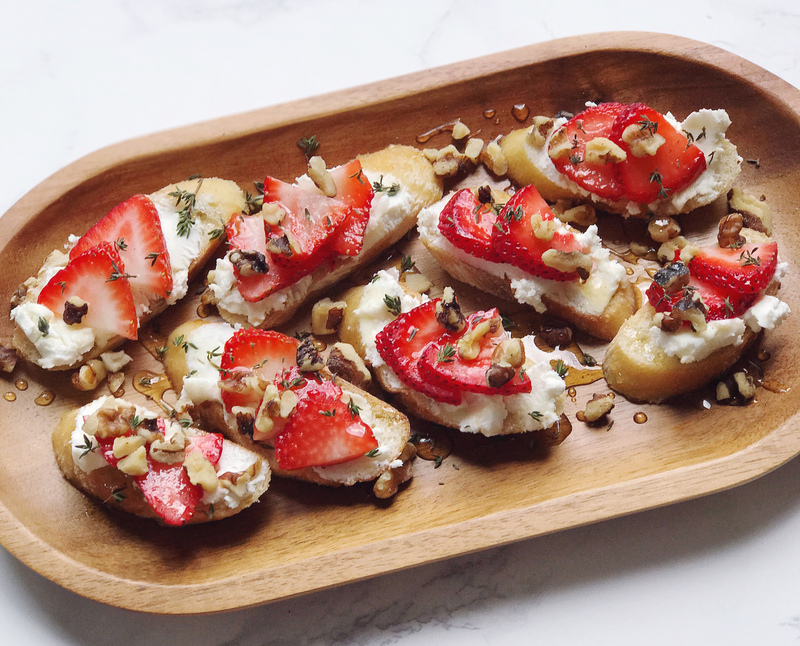 Spread each toast with goat cheese and top with thinly sliced strawberries, chopped walnuts, leaves of fresh thyme. S’mores Rice Krispy Treats. Chambray Style. 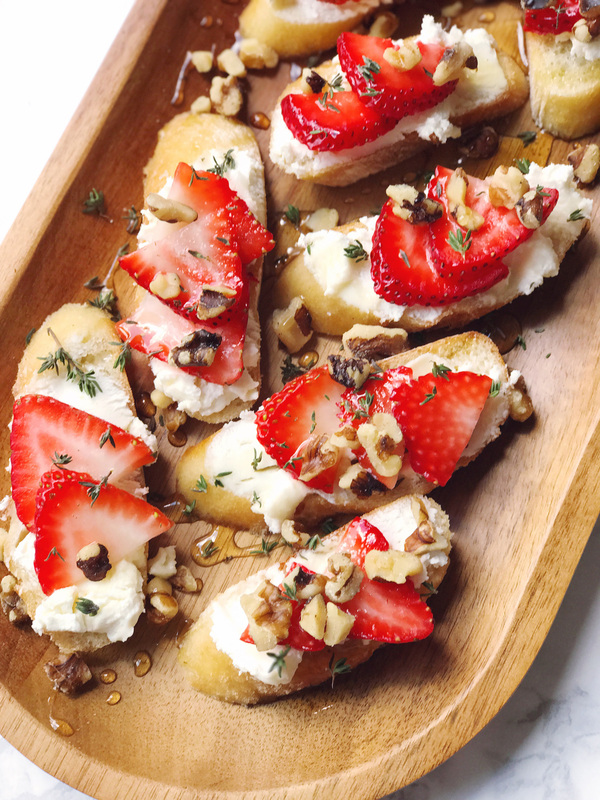 5 Responses to "Strawberry Goat Cheese Crostini." So I have strawberries and goat cheese at home so this probably needs to happen…. I promise you won’t regret it! Snack away! Anything with cheese and fruit is for me. Can’t wait to have these this summer! Oh this looks delicious. And of course berry recipes are always better with freshly picked berries 🙂 It’s blueberry picking season now, have you been out picking yet?